Jesus was and is the manifestation and essence of what is actual, absolute, and eternal. He is the very foundation and source of life and wisdom. This book provides an easy to read explanation of the prophecies of Christ and the context of their fulfillment. You will see how thoroughly God planned and prophesied, and how completely Jesus fulfilled these plans and prophecies. Prophecy pointed to Jesus Christ as being the Passover Lamb and prophecy told how and when the Lamb would be killed. It is exciting to see how all of God's plans came together during the Passover week in AD 30 and how new life in Christ came to all that would accept it. Charlie Mckinley has been studying and teaching the scriptures for fifty years. 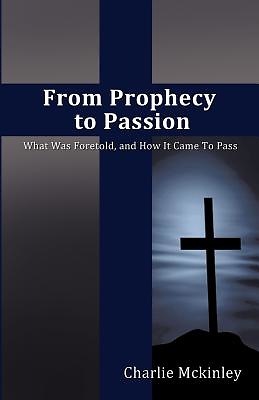 This book illustrates his belief that the Living Word has fulfilled the written word. He is retired and lives in Forest Park, Georgia.